note the gear down, managed to get a couple of distant pic's. Do the Orions often land on the island? west. Did get an out of focus shot just as she started to climb out. Well timed there Planecrazy! It would have been A9-659 flying from Whenuapai to RAAF Edinburgh. It has been at Christchurch for repaint and made its way to Whenuapai on the 5th. yeah, saw it outside the hangar last week. no serial numbers visible on the outside though. 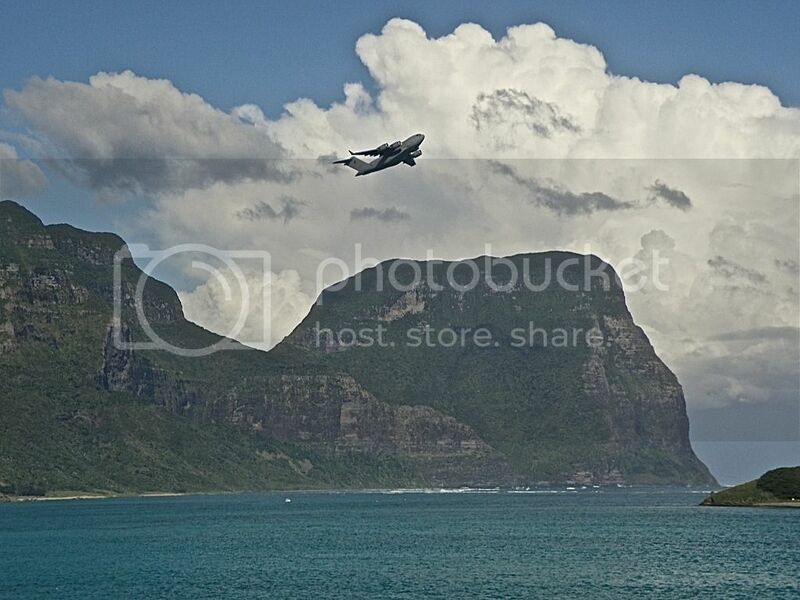 Navigation definitely not a skill I possess but isn't she off course if she has overflown Lord Howe Island? wouldn't her course take her south of Lord Howe? Don't get me wrong happy she passed by as we don't see then that often, just wondering? It may not have just been a ferry flight. Perhaps the crew was doing a navex on the way back as well. Hi Gents, I'd suggest it was just a navigational exercise as part of the aircraft's return to Australia. Previous flights to/from NZ have conducted approaches at places like Invercargill, Dunedin, Nelson and Wellington over the course of the repaint programme. Beagle - yes, the tail number not being visible does make it difficult to figure what it is! It is painted on the aircraft but not easily visible! XL 750 brings freight out of Port Macquarie every now and then. Had a Hercy Bird come out to play yesterday afternoon. A Herc would p*ss in with 3000' wouldn't it? smell the rubber and sometimes feel the prop wash, very impressive machines! carry 850 litres with around 3,400nm range in good conditions. Bit of artwork on her including a map of her journey around the world. 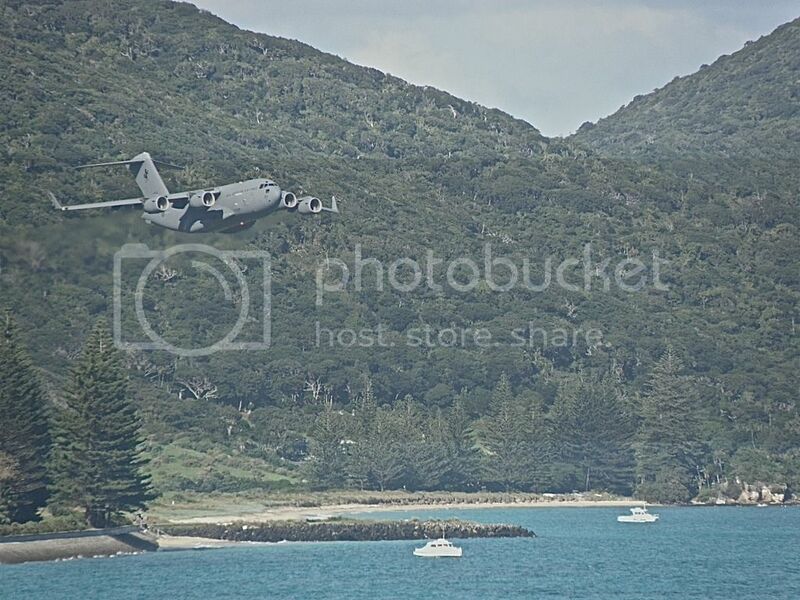 1pm today a C17 did a couple of passes, few pic's here, some more link below. high looked like he was heading NW to Amberley perhaps, did get a pic but fair way away. So that's the Herc up there. Wednesday 25/6/14 after being in New Zealand on a promotional tour. Cheers for the link Errol- great to see this thread. Glad to have visited LHI, really unique destination!